Not one, not two, but three Custer brothers died at the Little Bighorn—and so did their only sister's husband. Most do not realize that not one, not two, but three Custer brothers died with the 7th Cavalry at the hands of the Sioux and Cheyenne at Little Bighorn in 1876. So too did their nephew and the husband of their only sister. Less than half the immediate Custer family would survive the massacre. This is their story. This book is a must for all those interested in the enduring Custer legend. 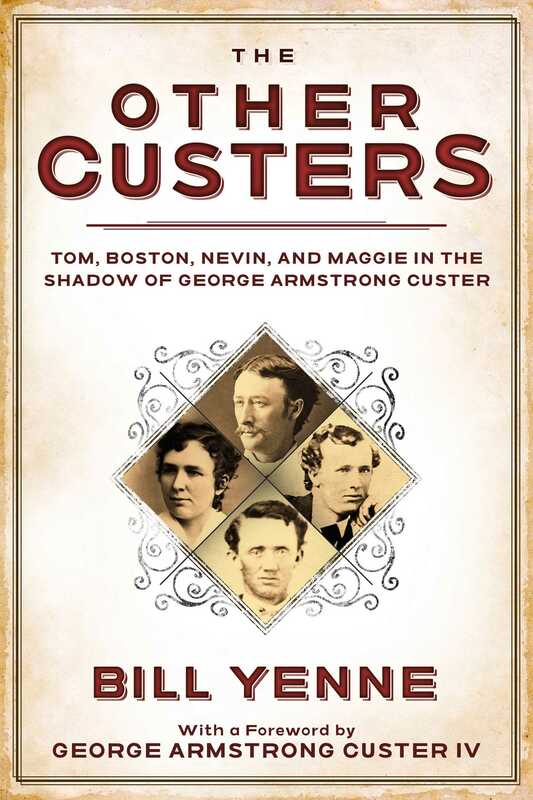 Where other Custer literature focuses solely on George Armstrong, The Other Custers is the only volume to explore the lives of the Custer siblings in depth. War hero Tom Custer earned two Medals of Honor during the Civil War before riding into the West with his brother. There was the bashful and enigmatic Nevin Custer, and the young Boston Custer, whose one desire in life was to share the adventures of his idolized older brothers. Margaret Custer married into the 7th Cavalry and was widowed at twenty-four when her husband, James Calhoun, was among the dead at the Little Bighorn. The Other Custers traces the upbringing of the family and follows Nevin and Margaret as they carried the Custer name beyond Little Bighorn. The book also uncovers much more detail about the ancestors and descendants of the Custer siblings than is to be found in other Custer biographies. "Bill Yenne, one of this nation’s most prolific writers, has written a book that tells the story of a family whose last name is etched in American history. Certainly the world knows the story of George Armstrong Custer and his exploits, but there is so much more to the story—and it is all told in this groundbreaking book. Yenne excels as a storyteller extraordinaire, weaving together the story of the Custer family in war and peace and through the generations , including love and loss, heroism and failure, a battle for the ages, and a family that paid the ultimate price, destined to be remembered for all time. "Prize-winning author Bill Yenne, biographer of the victorious Sitting Bull, now turns to the story of the vanquished Custer clan of the Seventh U.S. Cavalry. Captain Thomas Custer and other relatives died along with Lieutenant Colonel George Armstrong Custer at the Greasy Grass along the Little Bighorn River. Yenne brings them out from under the shadow of the famous and controversial cavalry commander, along with the widows, siblings, and cousins left behind that kept their memory alive in the decades following their defeat in a valley in Montana. Yenne combines exhaustive research with his engaging writing style to give us a story that is both enlightening and a pleasure to read.—Bruce A. Castleman, author of Knickerbocker Commodore: The Life and Times of John Drake Sloat, 1781-1867"